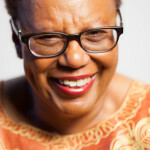 Patricia Spears Jones, poet, and BEI Senior Fellow is featured in a Huffington Post Article. Jones gives her acceptance speech in Patterson, NJ, focused on her rise from one of the Patterson Poetry Awards finalists in 2016, to the 2017 Jackson Poetry Prize recipient. The Jackson Poetry Prize, a $50,000 award honors “an American poet of exceptional talent who deserves wider recognition.” The award is given out by Poets and Writers Magazine, the largest not-for-profit serving creative writers, “nominees are identified by a group of poets selected by Poets & Writers who remain anonymous; final selection is made by a panel of esteemed poets.” Jones was chosen in part because of her thoughtful, and compelling style, which uplifts and enriches the American consciousness.